An app aimed at helping younger people with cystic fibrosis stick to their exercise regime, and a cuddly bear to help children take control of their self-management were joint winners in a 24-hour Inclusive Design Challenge on Monday, which marked the launch of Sheffield Hallam University’s Design4Health conference. The challenge attracted designers from the UK and beyond, who were split into two teams for each of two categories: cystic fibrosis (CF) and motor neurone disease (MND). The brief was to design a new product or service within 24 hours that could help sufferers cope with the illness better. The teams were comprised of designers with a range of experience, clinical staff who work in Adult and Children’s CF services in Sheffield, and a ‘design partner’- someone who lives with cystic fibrosis or cares for someone else who does. This means the clinical staff and the design partners collaborate in the design process… instead of just being consulted. 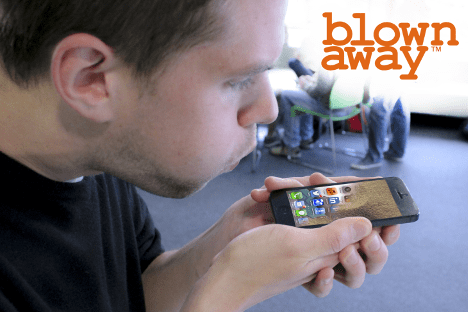 Dubbed ‘Blown Away’, the joint Judge’s choice award recipient for cystic fibrosis was an iPhone app to help younger people adhere to their treatment, something that can be a big issue during the transitional phase from paediatric to adult cystic fibrosis care. The app also had broader appeal for athletes, or other chronic conditions where measuring breathing exercises is important. The team, lead by John Bateson from the London College of Communication, got its inspiration from Lorraine Barnes, who has two boys with CF, and shared her first-hand insight into the problems of dealing with the condition. The app reminds the user to perform their daily exercises by disabling the screen with the image of a layer of sand. The user has to blow into the phone’s microphone to ‘blow away the sand’ and reactivate the phone. This mimics the treatment someone would usually have to do twice a day with a PEP device, exercising the lungs and helping free some of the mucus that builds up. The team introduced fun elements into the app by developing games that can be played whilst exercising, like a hot air balloon you have to navigate as far as possible along a flight path. The designers behind the app won both the people’s vote and the panel of judges’ vote to share first place with the winning entry in the motor neurone’s disease category. 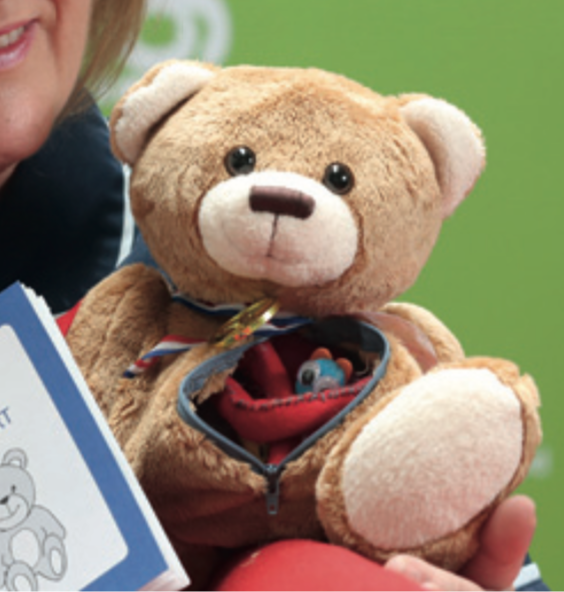 Geoff the CF Bear was the other joint People’s choice award winner, and was developed to help children take responsibility for their own self-management by learning to treat Geoff’s cystic fibrosis. Yuni Lee, a Senior Interaction Designer at the consultancy IDEO lead the team. The team also developed a passport idea, meaning the children would collect stamps as they visited the clinic for small rewards. Geoff also has internal organs, meaning that as the child’s understanding of cystic fibrosis grows, they are able to see visually why their self-management is important; becoming something they want to do, rather than something that is done to them. Design4Health is a bi-annual European conference which looks at how design can be used to meet future and current challenges in healthcare. For more information, go to www.design4health.org.uk. CysticFibrosis.com Health Opinion Leaders weigh in. Written by: Melissa75 on May 19, 2014.